Comcast has defied industry trends and has gained bundled subscriptions. Challenging perceptions of rampant cord-cutting, Comcast is clawing back some cable customers. In the fourth quarter of 2015, the cable giant persuaded 89,000 homes to sign up for a bundle of cable channels — its best quarterly TV performance in eight years. Comcast has been losing TV subscribers to rivals like DirecTV (DIRV) and Verizon FiOS since the mid-2000s. Comcast (CMCSA) and other cable providers, like Time Warner Cable (TWC), have been winning some of those homes back by promoting discounts and promising service improvements. This is known as share-shifting in the industry. But there's also been something more serious going on: cord-cutting, a term used for homes that stop subscribing to Comcast, DirecTV or FiOS and watch Netflix or Hulu instead. Predictions about the pace of cord-cutting vary widely. It is clear that a relatively small number of homes have opted out of cable, pinching the bottom lines of major media companies. What's unclear is whether the phenomenon is picking up steam. Comcast's earnings, reported on Wednesday, seem to suggest it is not. 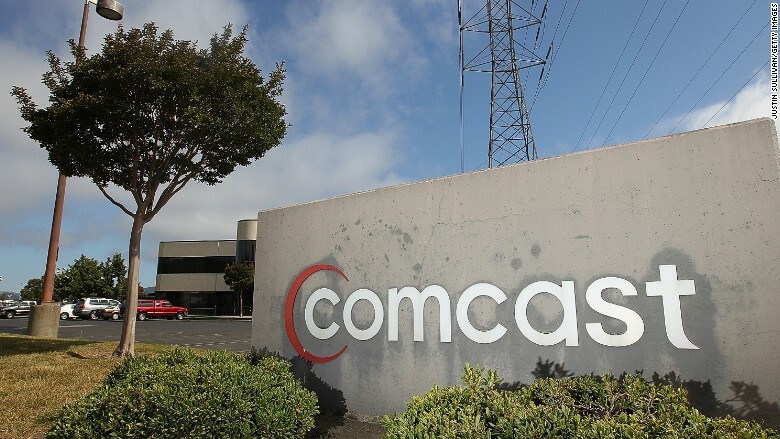 The "video results should dissipate some of the prevailing cord-cutting fears for Comcast," Evercore ISI media analyst Vijay Jayant said Wednesday morning. He was projecting just 34,000 additional video subscribers in the quarter, well below Comcast's actual performance. Other analysts cited Comcast's results to suggest that cord-cutting concerns are overblown. But one thing is for sure: Competitors like Netflix are continuing to exert severe pressure on the traditional subscription TV business. One reason Comcast posted gains in the fourth quarter is because the company is flexing its muscle in the marketplace to keep people paying for TV. Its pricing model encourages homes to subscribe to both broadband and TV. The company added 460,000 high-speed Internet subscribers in the fourth quarter, which it said was its best fourth quarter result in that category since 2006. Comcast is also offering new, smaller bundles of channels to entice homes to subscribe to some form of TV. These so-called "skinny" bundles, akin to a starter pack of TV, have become a trend across the industry. Comcast hasn't specified how many of its subscribers are opting for these offers. DSLReports analyst Karl Bode said Comcast is just "temporarily" bucking the trend of cord-cutting. The uptick in the fourth quarter "doesn't mean users are necessarily seeing a renewed interest in traditional television or that cord cutting doesn't exist, it just means Comcast's reaping the benefits of its monopoly broadband position, and that bundled broadband users are signing up for TV because it's cheaper than broadband alone," he wrote. Beyond its TV gains, Comcast had an enviably strong quarter, with a 2.4% increase in profits thanks to those new broadband subscribers and continued progress at NBCUniversal, its entertainment business. The company now has 27.7 million customers overall.